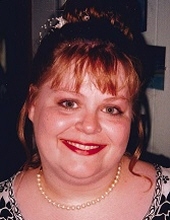 Martha "Angel" Trauterman, 49, of Powhatan, passed away suddenly February 6, 2019. She was preceded in death by her parents, Herbert and Joy Short; sister, Nora Lynn Short. She is survived by her loving & devoted husband, Tim Trauterman; two sisters, Sharon Lane Horn (Garlen), Gail Henderson (David); two brothers, Stanley Short (Opel), Timothy Short (Deborah); ten nieces and nephews who she loved very much and countless friends and loved ones. A visitation will be held Sunday from 2 to 4 p.m. in the Bennett & Barden Funeral Home, 3215 Anderson Hwy. (Rt.60), Powhatan. Funeral services will be held Monday 11 a.m. in the Bridge Church, 2480 Academy Rd., Powhatan. Interment, church cemetery. Online condolences may be made at bennettbardenfh.com. To send flowers or a remembrance gift to the family of Martha Angela ""Angel" Trauterman, please visit our Tribute Store. 2480 Academy Rd. Powhatan 23139 Va.
"Email Address" would like to share the life celebration of Martha Angela ""Angel" Trauterman. Click on the "link" to go to share a favorite memory or leave a condolence message for the family.